Our 5th Cologne R user group meeting was the best attended meeting so far, with 20 members finding their way to the Institute of Sociology for two talks by Diego de Castillo on shiny and Stephan Holtmeier on cluster analysis, followed by beer and schnitzel at the Lux, a gastropub nearby. Diego gave an overview of the design principles behind shiny, which provides a powerful API to build web apps in pure R. His explanation of the reactive programming model was particularly helpful to understand how shiny works under the hood and why it is so responsive. His live demonstrations of shiny even included shiny server, which he had running in a virtual machine. Diego’s slides are available via our Meetup site. You can hear more from Diego and me at the UseR!2013 conference in Albacete, where we will give a googleVis tutorial. We will touch on googleVis on shiny as well. A dedicated shiny tutorial will be given in the afternoon by Josh and Winston from RStudio. 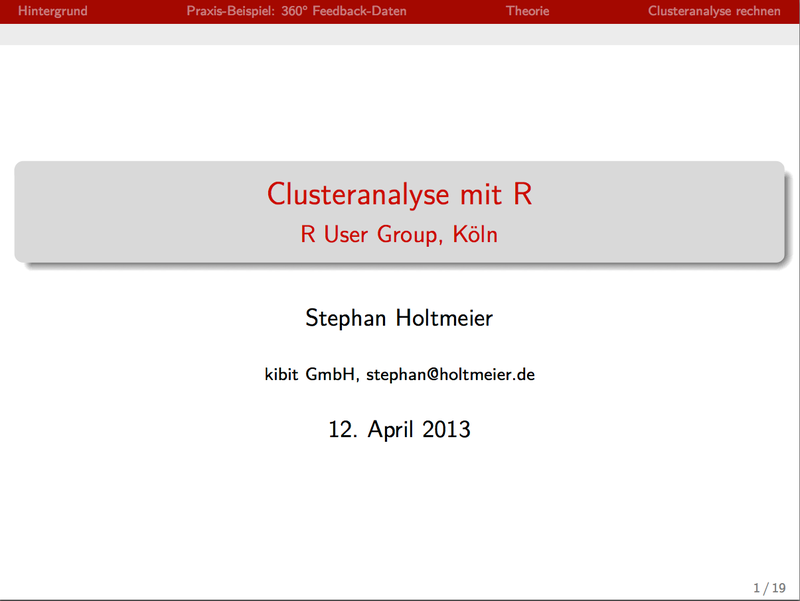 Stephan Holtmeier, who is a psychologist by background, presented an introduction to cluster analysis with R, motivated by his work in analysing survey data. As a toy example he used a 360° feedback survey of a group of managers within a big company. In his example he wanted to understand the profile of those managers better. Stephan illustrated how a cluster analysis can help to identify groups of managers with similar strengths, e.g. for communication, leadership and/or performance. Depending on how he measured the distance between managers he could look for people who have similar levels of competency or a similar profile (correlation). Stephan also touched on the differences between hierarchical and centroid based cluster analysis, such as k-means. 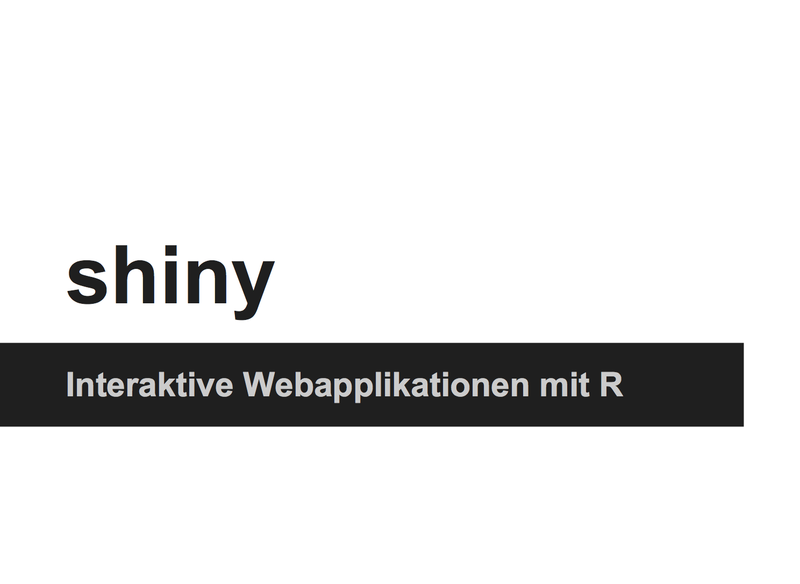 You can find Stephan’s slides (in German) also on our Meetup site. For more information on cluster analysis functions in R see also the cluster task view on CRAN. If you would like to get an overview of how psychologists look at data, then check out William Revelle’s vignette of the psych package. Finally, if you are interested in how a k-means cluster analysis can be used for image manipulation, see an earlier post of mine. The next meeting has been scheduled for 19 July. Günter Faes will present his experiences using the XLConnect package as an interface between R and Excel. Dietmar Janetzko agreed to present how he used R and Twitter to predict exchange rate movements. Of course, the evening will close with a few Kölsch in a nearby beer-garden.